Everyone begins somewhere, especially with disaster preparedness. 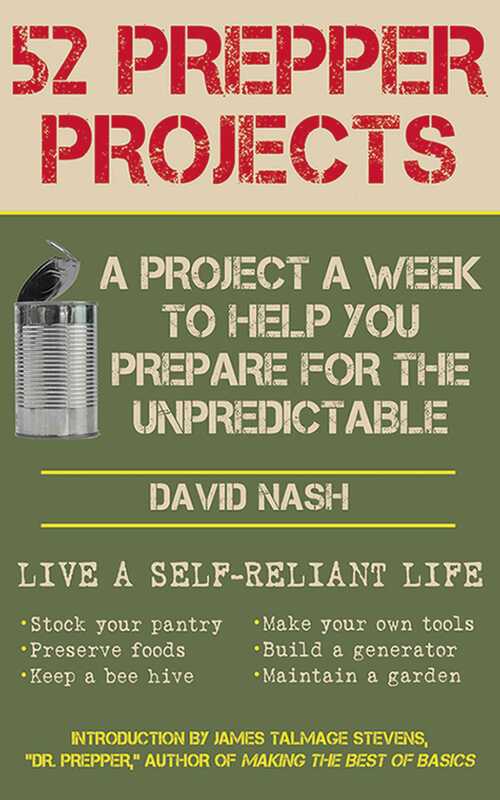 In 52 Prepper's Projects, you’ll find a project for every week of the year, designed to start you off with the foundations of disaster preparedness and taking you through a variety of projects that will increase your knowledge in self-reliance and help you acquire the actual know-how to prepare for anything. Self-reliance isn’t about building a bunker and waiting for the end of the world. It’s about understanding the necessities in life and gaining the knowledge and skill sets that will make you better prepared for whatever life throws your way. 52 Prepper's Projects is the ultimate instructional guide to preparedness, and a must-have book for those with their eye on the future.